A debut novel exploring the intense pressure to have children on one couple across two decades, set against the backdrop of the politically tumultuous 1980s and 90s in Nigeria. ...[a] stunning debut novel ... [Stay With Me] has a remarkable emotional resonance and depth of field. It is, at once, a gothic parable about pride and betrayal; a thoroughly contemporary — and deeply moving — portrait of a marriage; and a novel, in the lineage of great works by Chinua Achebe and Chimamanda Ngozi Adichie, that explores the pull in Nigeria between tradition and modernity, old definitions of masculinity and femininity, and newer imperatives of self-definition and identity ... while readers may pick up on this novel’s many allusions and borrowings (for instance, its nods to Gillian Flynn’s Gone Girl and Lauren Groff’s Fates and Furies, in creating a stereoscopic portrait of a marriage), Stay With Me feels entirely fresh, thanks to its author’s ability to map tangled familial relationships with nuance and precision, and her intimate understanding of her characters’ yearnings, fears and self-delusions ... Adebayo is an exceptional storyteller. She writes not just with extraordinary grace but with genuine wisdom about love and loss and the possibility of redemption. She has written a powerfully magnetic and heartbreaking book. 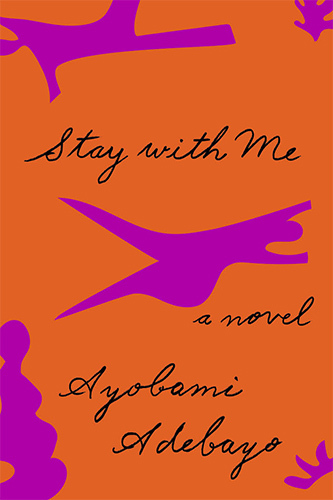 Stay with Me is a triumph — a complex, deeply felt exploration of love, marriage and family amid cultural and political upheaval in Nigeria from 1985 to 2008. Adebayo's story contains enormous energy. Over and over, this reader found it hard to close the book and move onto other things ... This humane approach to her characters gives Adebayo the space to examine painful, dark human emotions without prompting condemnation of characters she clearly loves ... 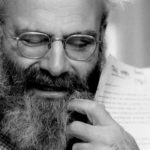 If this sounds grim, it is — until the very end of the book, which offers a lovely coda of hope. The effect of this ending filled with light is profound. Adebayo drives the reader in a thrilling, headlong rush. ...animated dialogue is a delight throughout the novel, and Moomi’s voice is the loudest among the vivid, persuasive characters who bring this Yoruba community to life ... Adébáyò has been tutored in writing by both Margaret Atwood and fellow Nigerian author Chimamanda Ngozi Adichie, and though there is still room for growth, she has a thoroughly contemporary style that is all her own. Her clever and funny take on domestic life and Nigerian society is a welcome addition to her country’s burgeoning literary scene. Despite the intense sadness of her subject matter, she has produced a bright, big-hearted demonstration of female spirit, as well as the damage done by the boundlessness of male pride. What did you think of Stay With Me?